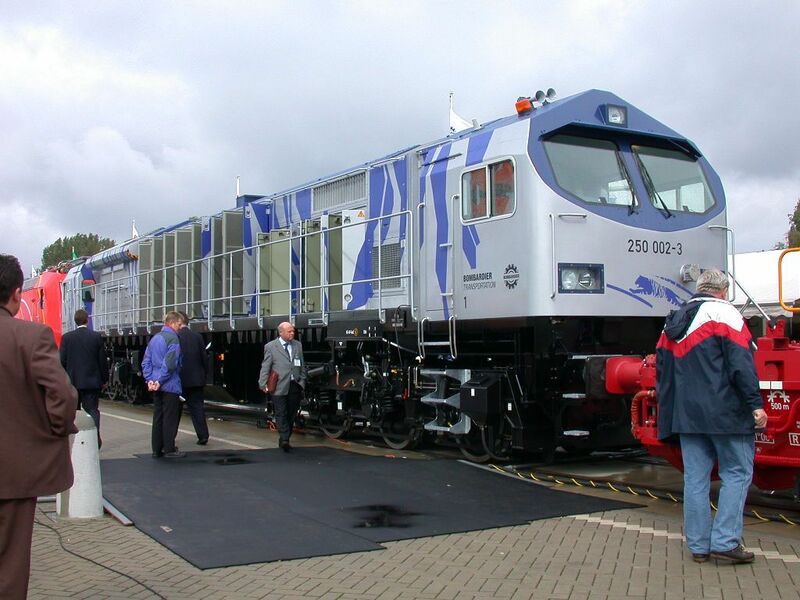 Diesel engine 250 002 seen at the INNOTRANS in Berlin on September 28th, 2002. 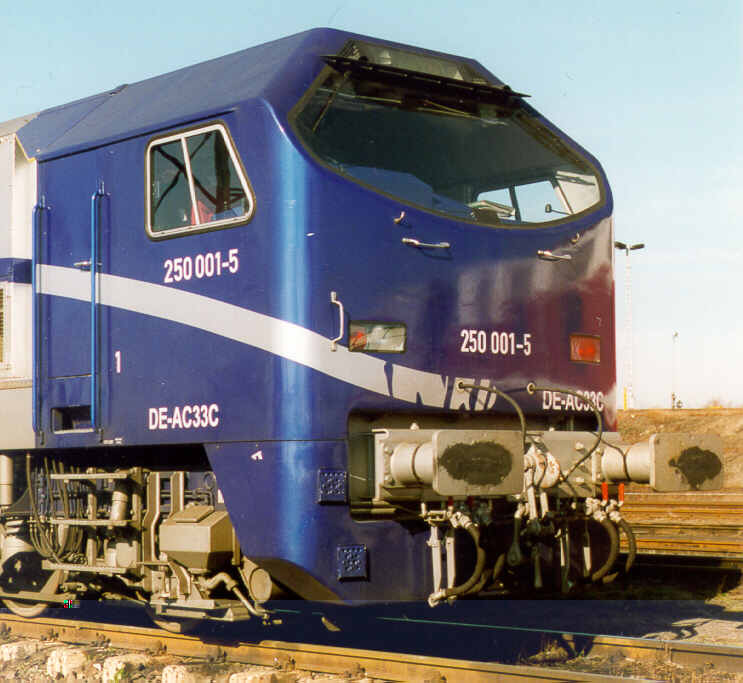 Diesellocomotive 250 001 "Blue Tiger" of the DB AG and ADtranz, seen at the "Tag des Lokomotivfuhrers" in Aachen West, 21st of September 1997. 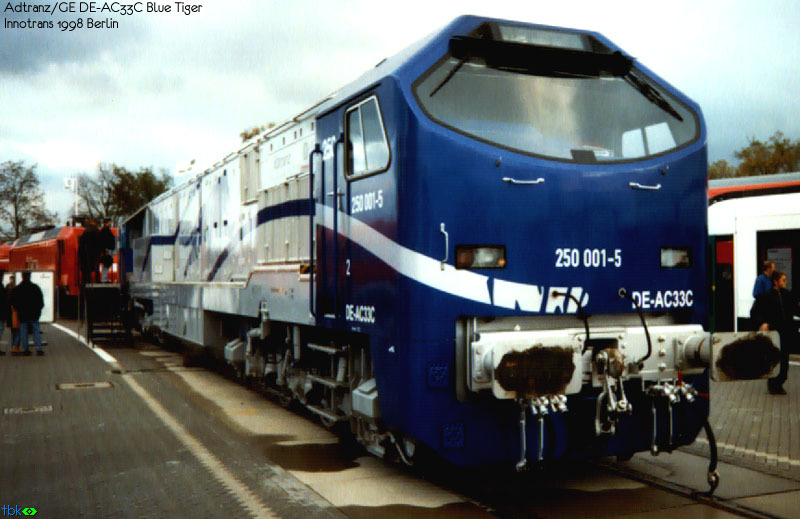 Blue Tiger 250 002-3 (new locomotive of the Bombardier Lokpool). 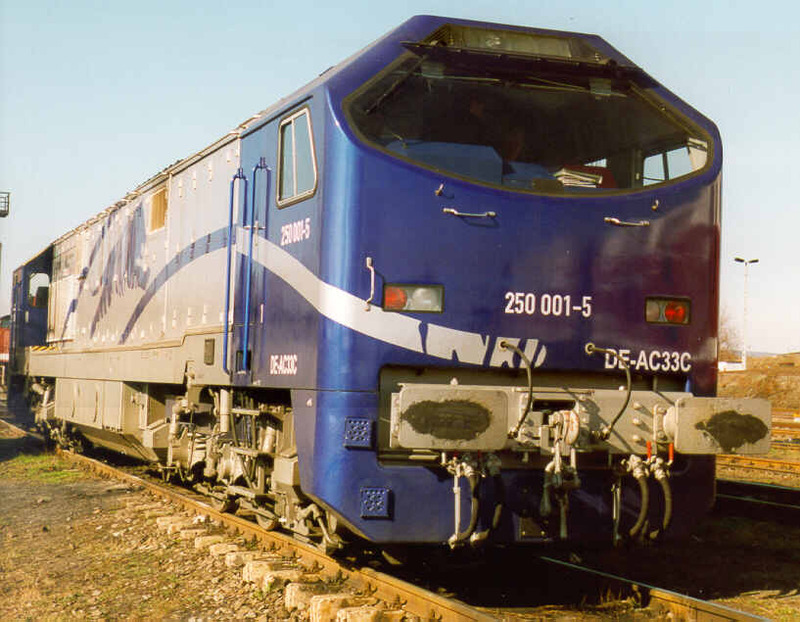 Blue Tiger 250 002-3 with open engine doors. 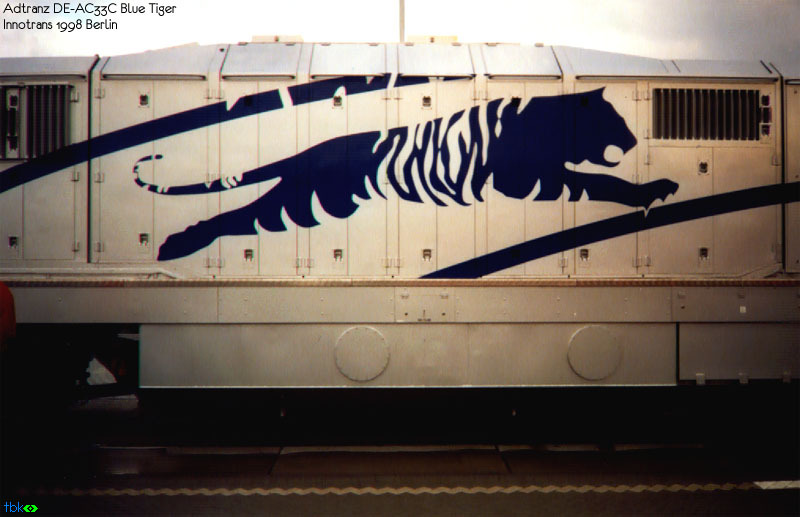 Blue Tiger 250 002-3 with open engine doors. 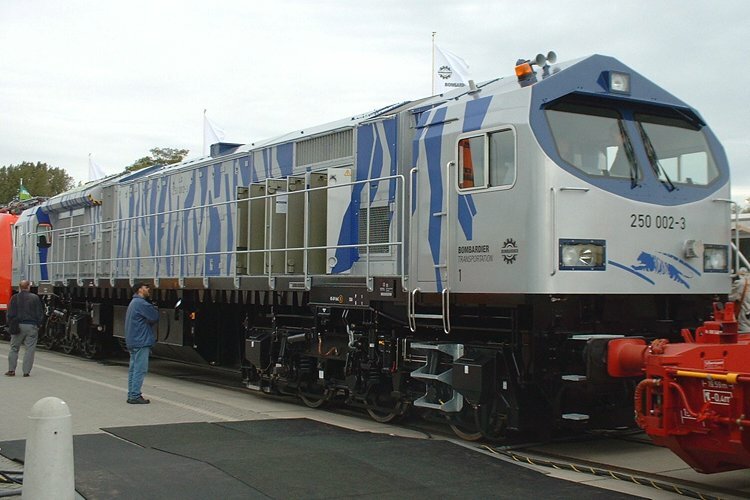 View of the General Electric engine. 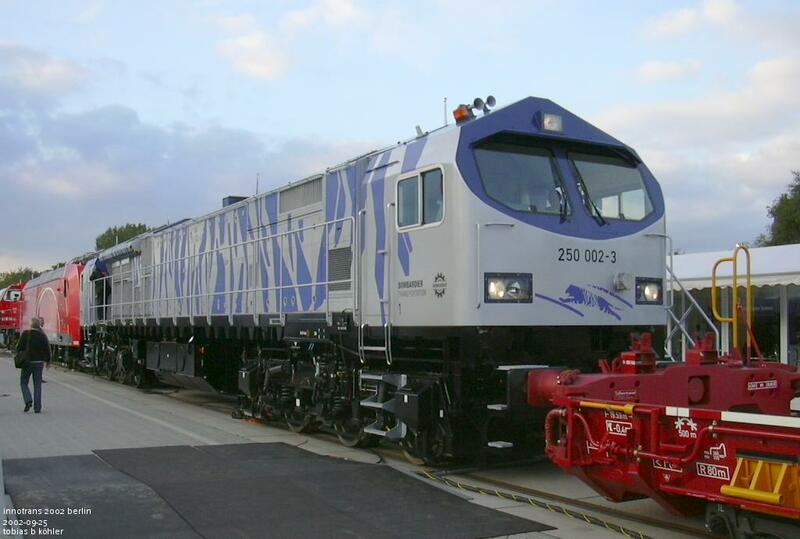 Bombardier/GE Blue Tiger 250 002-3. 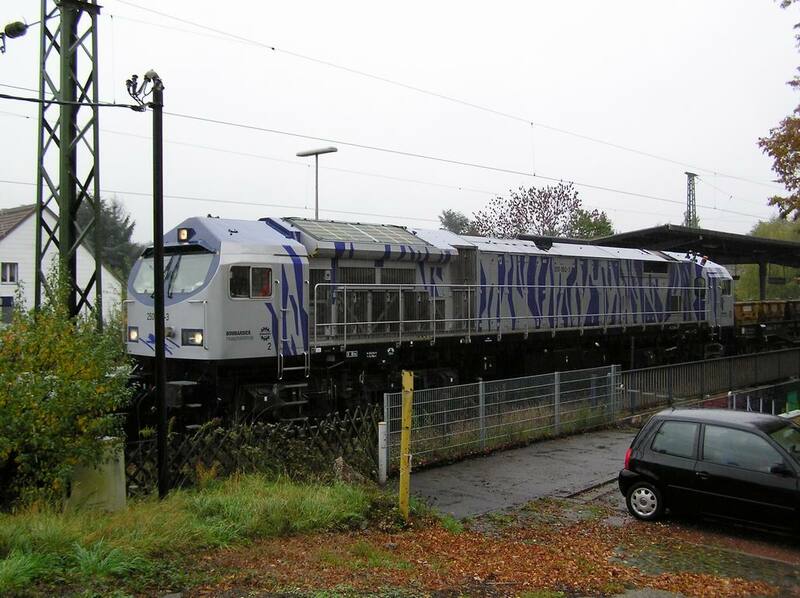 Bombardier/GE Blue Tiger 250 002-3. 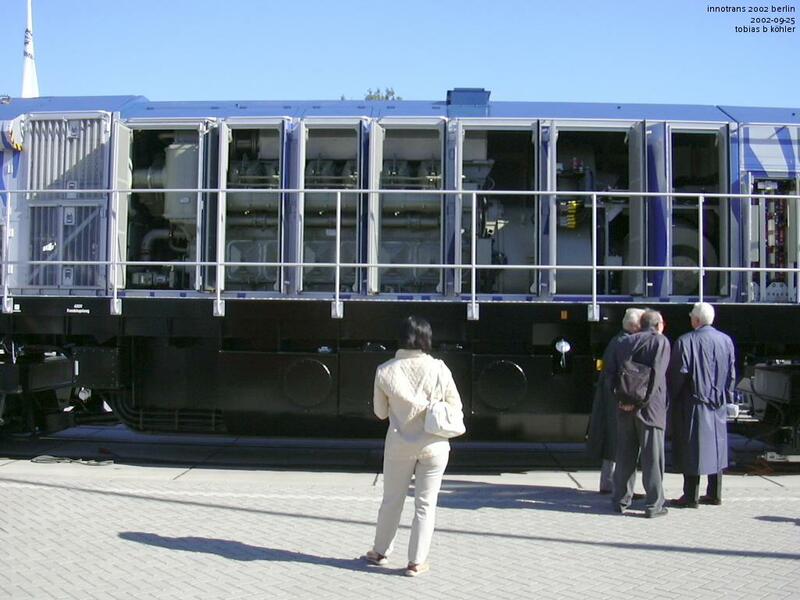 Detail view of end 2 with the radiators and dynamic brake resistors. 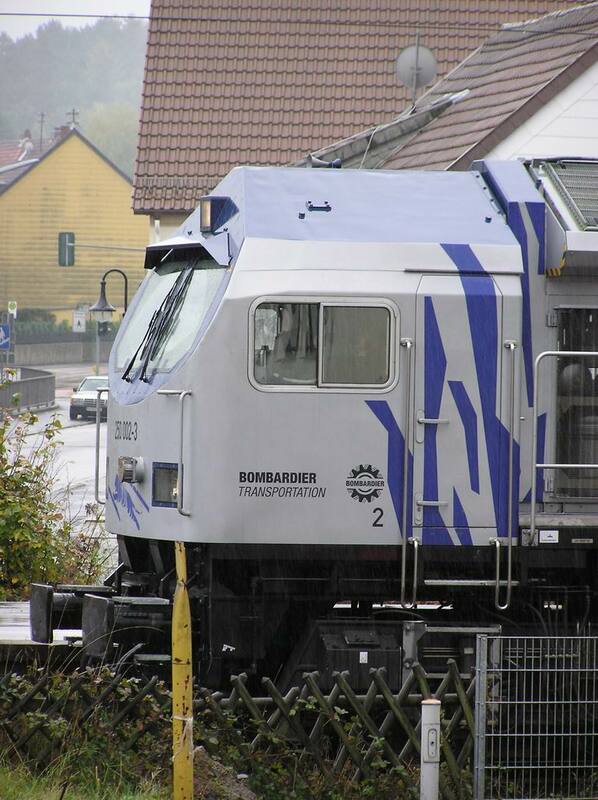 As you can see, each cab has two side doors and two doors to the side walkway. 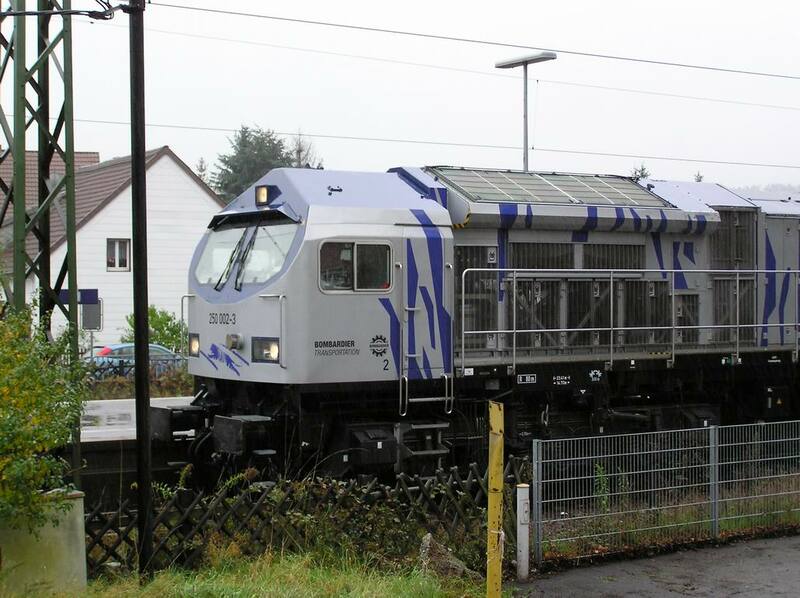 Bombardier - locomotive with DB number 250 002 - 3 in Kirkel - Limbach, 2004. 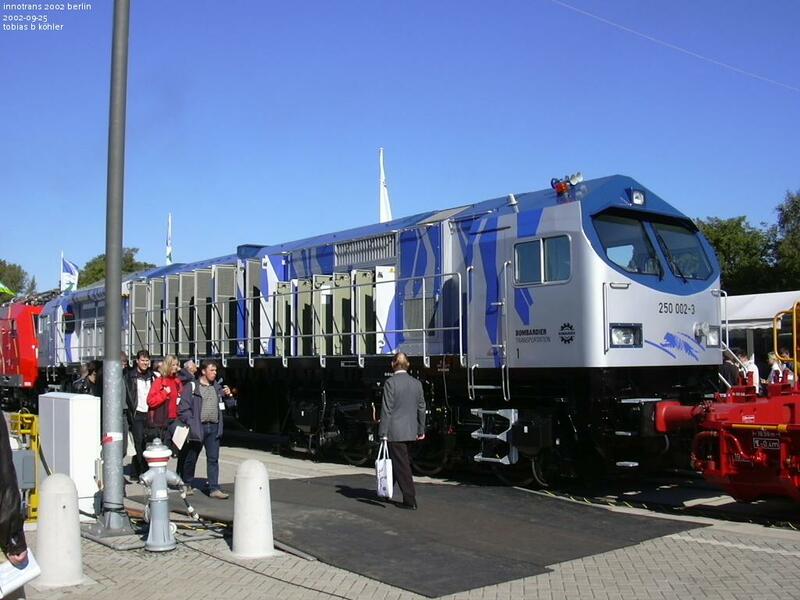 Diesel-electric locomotive DE-AC33C "Blue Tiger" by Adtranz and General Electric, the only of its type, exhibited at Innotrans 1998 in Berlin. 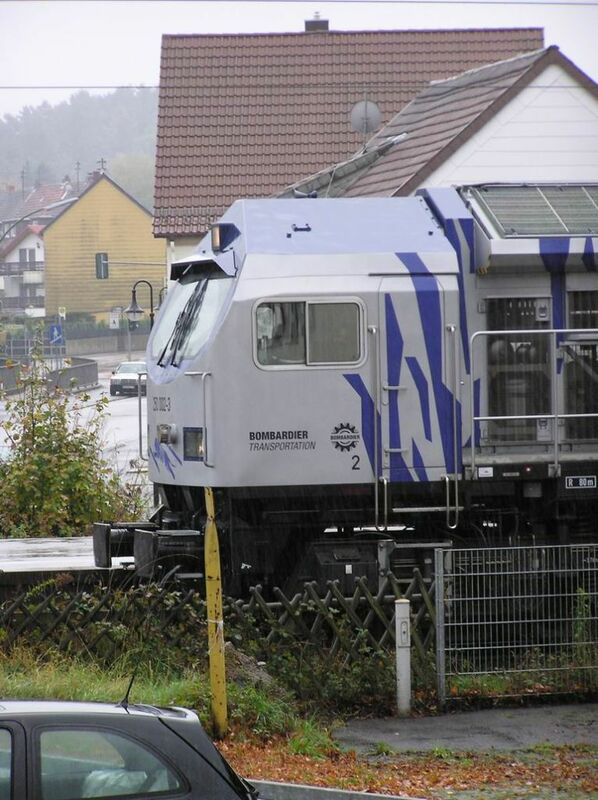 After operating for DB Cargo AG, it carries the number 250 001-5. 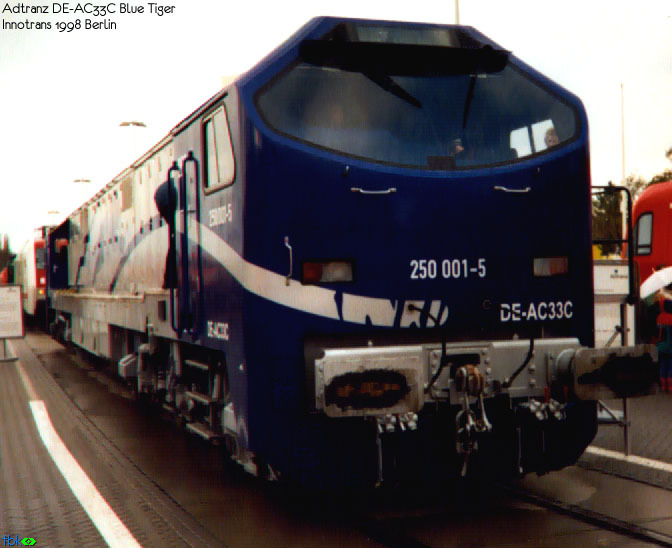 Cab view of the diesel-electric locomotive DE-AC33C "Blue Tiger" by Adtranz and General Electric, the only of its type, exhibited at Innotrans 1998 in Berlin. 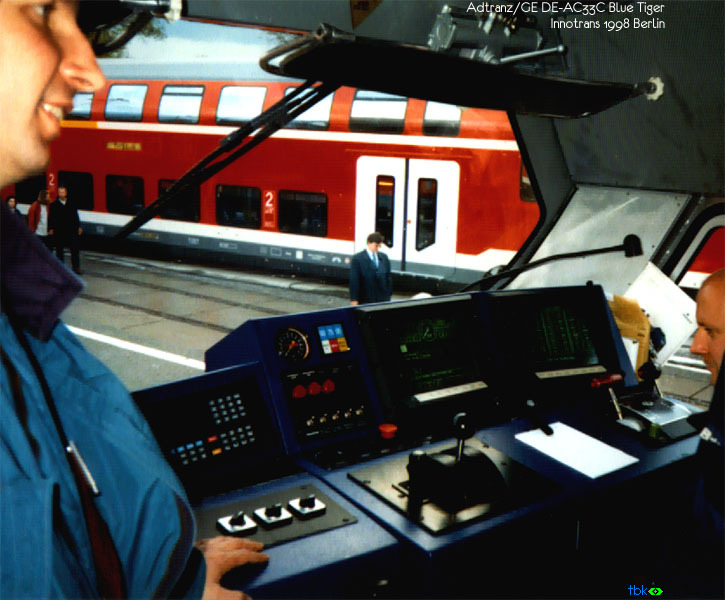 Rather "American" interior, with control screens, and big window. 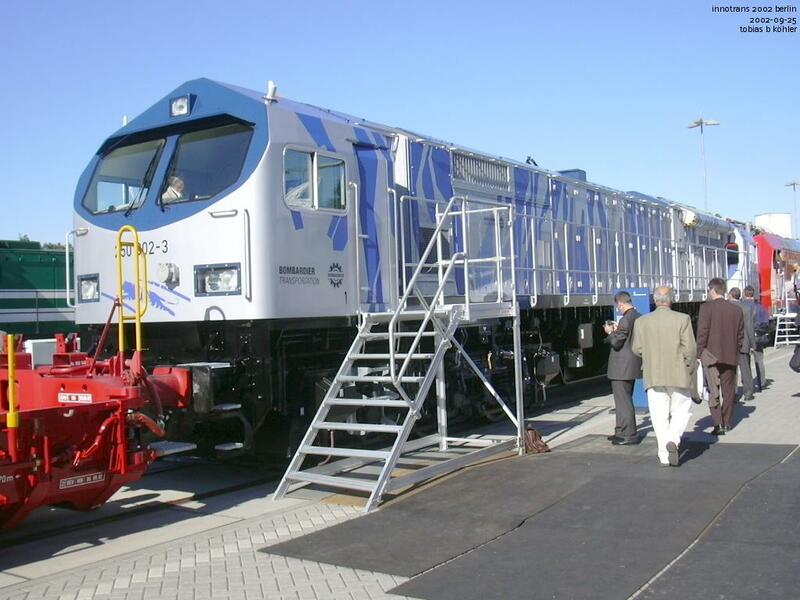 The Adtranz representative on the left explains the locomotive to visitors. 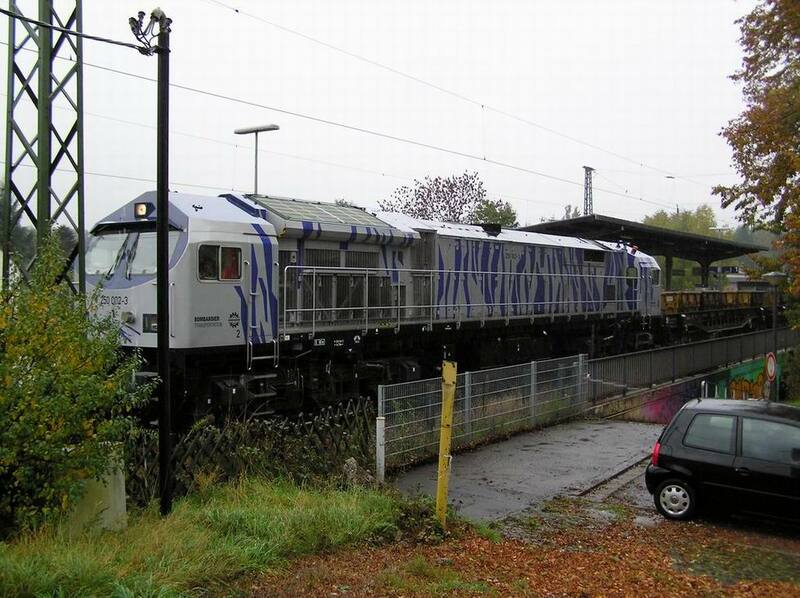 Outside you see the middle car (class 845) of the Bombardier "Meridian" double-deck EMU. 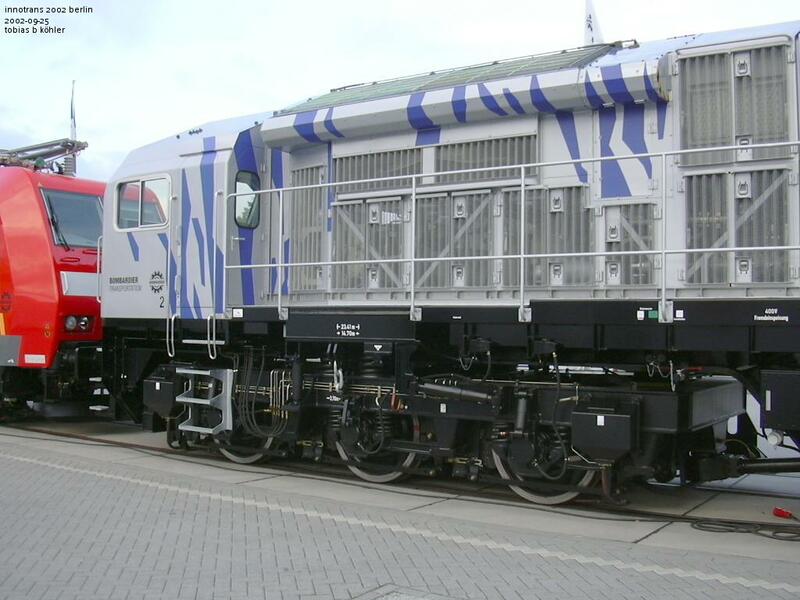 The "DE-AC33C" (with number 250 001 for DBAG tracks) is one of the new "Blue Tiger" diesel electric locomotives built in cooperation by Adtranz (Germany) and General Electric (USA). 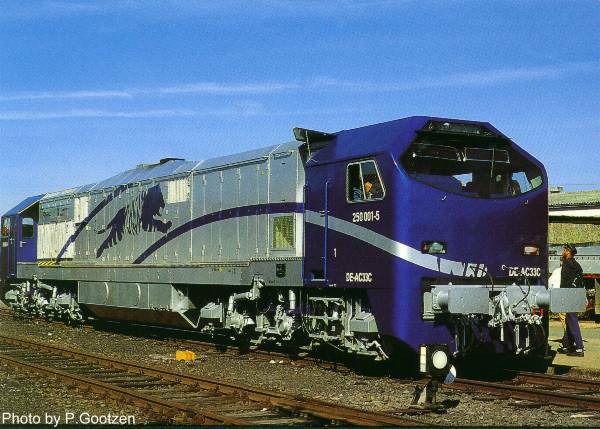 The photo was taken on the 21st of September 1997. 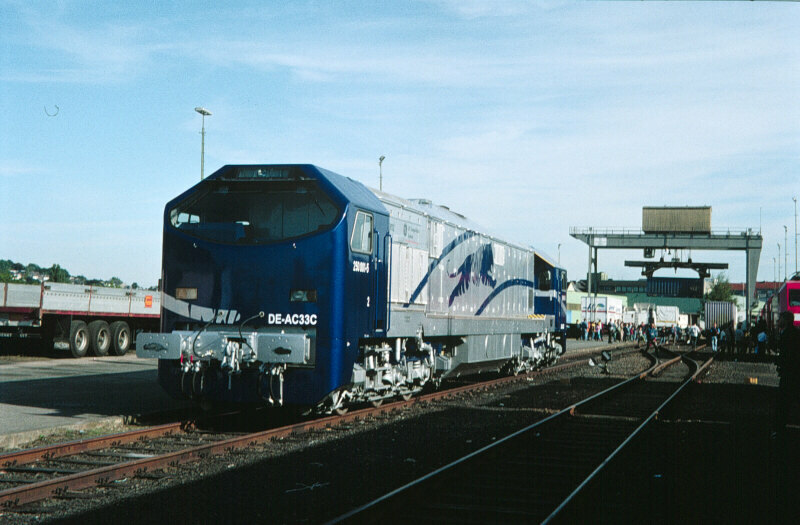 The "Blue Tiger" 250 001 in Halberstadt on Februar, 23rd in 1998. 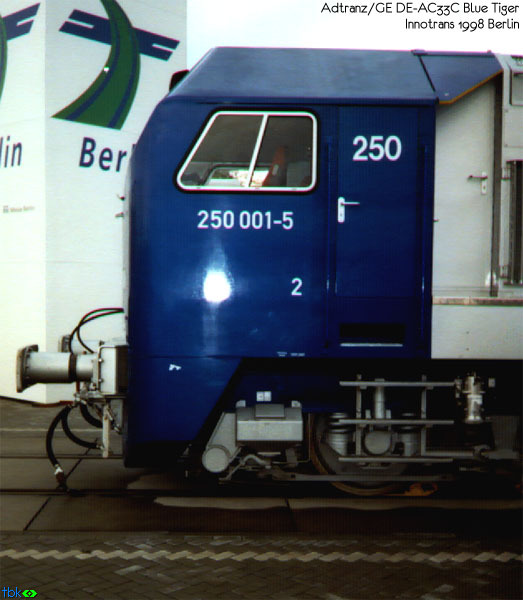 Detail of the "Blue Tiger" 250 001 in Halberstadt on Februar, 23rd in 1998. 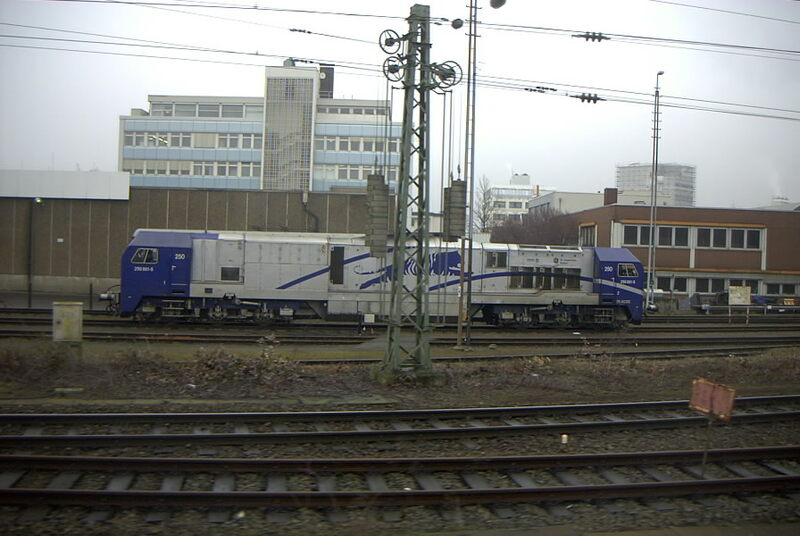 Bombardier class 185 (left) and 250 "Blue Tiger" (right).